Make love your first priority while you are on vacation in the Luv Betsey® Cruzin Cotton Weekender Through On The Back Bag. 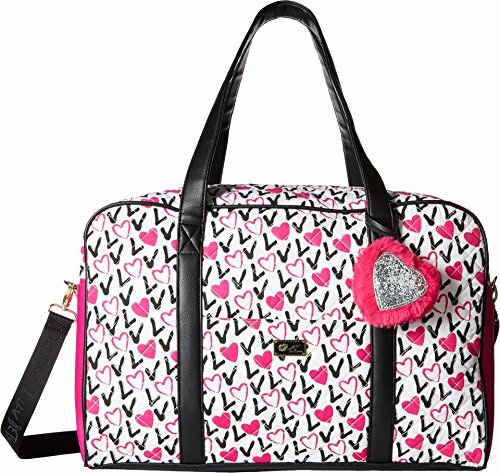 Carry-on luggage features a heart and bows print with a shimmering fuzzy heart accent at straps. If you have any questions about this product by Luv Betsey, contact us by completing and submitting the form below. If you are looking for a specif part number, please include it with your message.